We provide a range of expert dental services to give an unmatched shine to your smile. Smile often with invisible braces and structure your teeth. Infrastructure to ensure perfect services to patients. Boost your confidence with cosmetic dentistry. 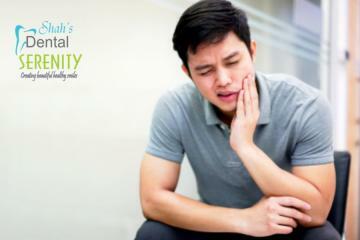 For total tooth loss, get a permanent solution in the form of sturdy dental implants. Boost your tooth’s functional and aesthetic appeal. 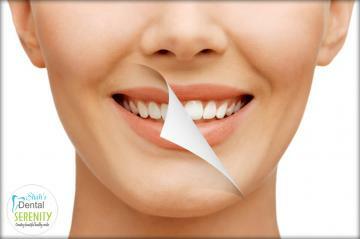 Get a striking natural look and reform minor issues with cosmetic veneers. Get the strength and resilience needed for your tooth. 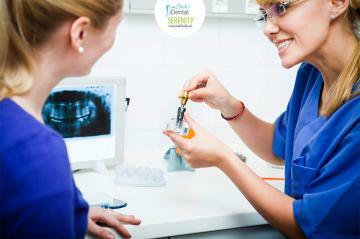 Enjoy India’s impressive hospitality and get world class dental care at Shah’s Dental Serenity at the same time. 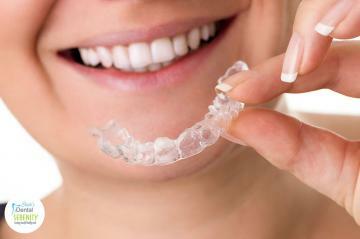 Get your teeth aligned and repair deformities with high quality invisible braces. Give a fillip to your smile quotient. 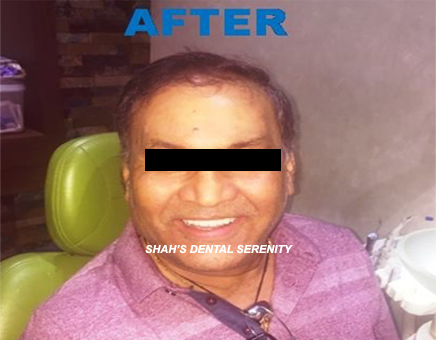 Shah's Dental Serenity is a modern-age dental practice, based in the heart of Mumbai, offering complete and comprehensive family dental and oral health care. We take pride in using high quality, international standard, state of art dental products and materials, including strict sterilization & infection control protocols. Our clinic is ISO 9001: 2008 certified by USAC (United States Accreditation Centre) quality management system, ensures you a clean and safe environment for your dental treatment. We take care of Dental Implants, Braces Treatment and many other treatments and you can get in touch with us for the same. I came to India to have all of my front teeth crowned. I came to Shah's dental serenity based on the reviews that I read on the internet. I must say the reviews were correct and my experience was even better than expected. Upon arriving in Mumbai a had a driver to pick me up from the airport and take me to my hotel. The price of the driver was very reasonable. I also had a driver to take me to the clinic and back to my hotel free of charge for all my appointments. All my emails were answered within minutes and any questions were answered for me in a manner that was easy to understand. The work done at the clinic was done quickly and I was made to feel as comfortable as possible. Dr Pooja Shah is one of the best dentist I have visited and is a complete professional that instils confidence. I can recommend Dr Pooja Shah to all. She treats her patients with the greatest respect and kindness. Dr. Pooja did for me one upper and another lower bridge with Zirconia material. From day one I have noticed that she was very smart and a very professional dentist in doing teeth preparations to accommodate the upper and lower bridges (13 upper Zirconia crowns and 12 lower Zirconia crowns). After only three sessions I could smile again and be very happy with how my face looks. 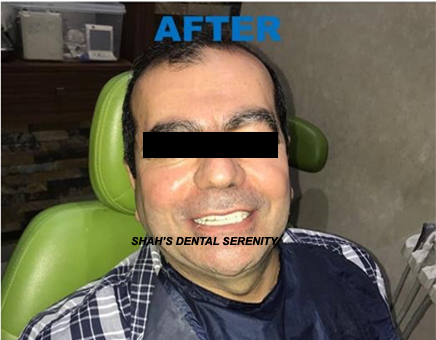 I traveled all the way from Canada and I highly recommend her to any kind of dental work together with her very polite husband Dr. Adit Shah at Shah's dental serenity clinic.The clinic was clean and organized. There was very good communication between the clinic and myself during this whole experience. I searched on line for dental treatment as in the UK the treatment that i required seems a little expensive. 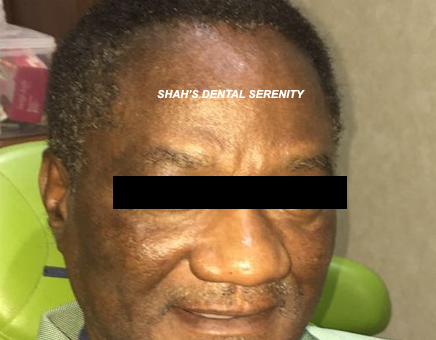 As a result, i came across Shah's Dental Serenity while searching online. A few call's with the dental practice I was settled in my reservations regarding getting dental surgery done overseas. So I proceeded to book both mine & my wife's dental treatment with Shah's Dental Serenity. The operation that I had was quite evasive as I needed to have all my teeth removed. After which, I had dentures fitted. All of this was an efficient process and as I was limited with time this worked in my favor. The doctors explained the surgery to me, detailing the entire process and how many visits I will need to attend to reach the goal of getting teeth implants fitted. Although I have 2 more visits with the dental clinic, I have been very impressed with the service, professionalism & efficiency of how the treatment is going so far. 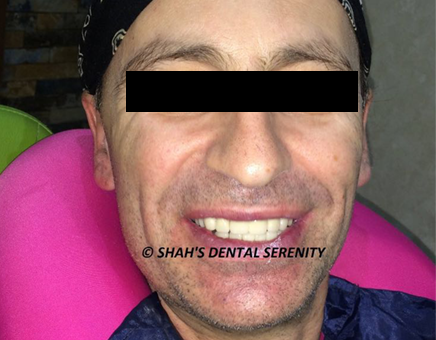 I found Shah's Dental Serenity details while searching for a dentist practitioners online for treatment to take place for both myself and my husband. I was originally quoted £25,000 to do the following dental treatment: Remove damaged teeth Replace the teeth with implants As you can imagine this quote was just to remove my damaged teeth. So, even after the operation, there was no guarantee that the existing problem would not come back.So, paying a rather large sum of money with only short-term gain made no sense to me. As a result, I found myself looking around to see what my options where. The clinic was very clean and the staff were very professional. I found that they received me with a warm welcome and when it came to being tentative and explaining the process and procedures required, everything was outlined to point and actioned on. All throughout my treatment, the same exacting standards were applied and I would recommend Dental Serenity to anyone who requires treatment. I came in from the US to have a complete dental treatment. 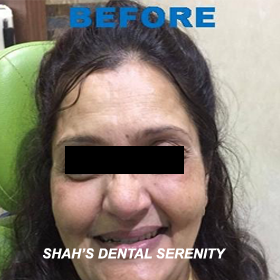 Before I came I did some research of some dental clinics in a few countries, and finally decided to go to Shah's Dental Serenity Clinic in Mumbai, India. I can honestly say that I was not disappointed. Dr. Pooja Shah who took care of my treatment was just fabulous! She took care of me in a professional and courteous manner. She really knows her stuff!! She took the time to explain the options and procedures every step of the way. Even before I came, I was in contact with Dr Pooja and Dr. Adit who explained all the options and gave me information that made my visit to India very easy. Besides, I got my dental treatment for a very reasonable price. 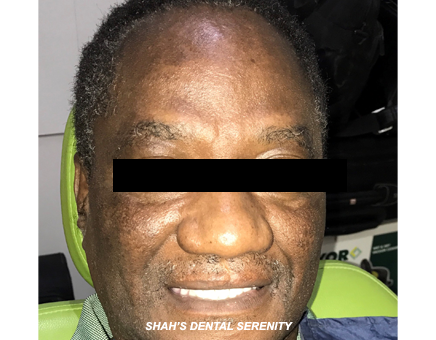 I am very satisfied with the treatment I received at Shah's Dental Serenity clinic, and will highly recommend this clinic for any dental work. 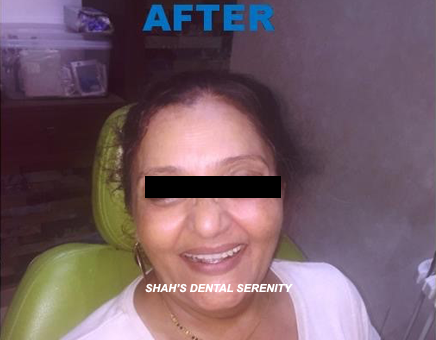 I came to India to have all of my front teeth crowned.I came to Shah's dental serenity based on the reviews that I read on the internet. I must say the reviews were correct and my experience was even better than expected.All my emails were answered within minutes and any questions were answered for me in a manner that was easy to understand.Dr Pooja Shah is one of the best dentist I have visited and is a complete professional that instils confidence. The end result was as good as if not better than expected and she even gave me a 15 year guarantee on all the crowns fitted. I was recommended Dr. Pooja by a friend in Australia and I must say the quality and level of service and treatment was just as he said, excellent. Dr. Pooja and her husband Dr. Adit were very helpful and supported me through out the treatment phase answering all my questions in a reassuring manner. I had 9 crowns fitted and the final result was very pleasing aesthetically and I believe the product used Bruxzir is of a high quality.The Clinic is as he described; it is clean and tidy.Both Dr. Pooja and Dr. Adit were very welcoming and friendly through out my attendances.The quality of the equipment and products used were high and no short cuts were taken. "Thank you so much, Dr. Shah, for everything!I am impressed with Dr. Shah's clinic stunning work and so I highly recommend. Their clinic is fully modern, nice and comfortable, just as if you were in Europe.They were always very nice and friendly, with very talented criteria (the way Dr. Shah approached solving my dental needs) and with a full & detailed oriented successful team practice, including a surgeon, and everything always carefully supervised by Dr. Shah.Very much to the point and on schedule, to meet our flight's dates and times.So for the many of you thinking of visiting India and having a dental treatment at the same time, I'd like to point the fantastic way they managed treatment schedule with our traveling schedule, so we were able to visit India, and even go across the country by train, with some antibiotics in the pocket. That has been very convenient, precisely. I had good 2 weeks search, and few email to different Dentists in the Mumbai area. I narrow the search to three, I could really narrow the search to one almost right from the start.Her communication skills are 'SECOND TO NONE' ! !Right from the beginning Dr. Pooja was very efficient, I must have given her hard time with so much questions, not once did she sound impatient. There wasn't a topic she couldn't reply. She kept in touch, and was very gentle about it, the questions that may have have sounded obvious to anyone who already had done the treatment... She explain thoroughly and patiently. There is a saying; You don't remember what people say, but you remember how people made you feel.... I felt I was Looked after - Because this is what she did !! Is it worth it? Of Course it is!! 100% recommend this clinic and the doctor who worked together with a specialised doctor as a team to give her patient the best result. I appreciate the speed and the smooth work. I came in from the US to have a complete dental treatment. 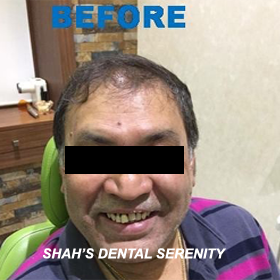 Before I came I did some research of some dental clinics in a few countries, and finally decided to go to Shah's Dental Serenity Clinic in Mumbai, India. I can honestly say that I was not disappointed. Dr. Pooja Shah who took care of my treatment was just fabulous! I was searching a new partial denture for my Mom. Actually it was her third denture. The first one was made there is more than 10 years. And the second was made in France there is less than 5 years. And in France it is really expensive to have good denture!!! I wanted to have bridge work done in the US and decided to look for a dental professional in India since I was planning to visit my homeland. Dental work in the US is absurdly expensive and the medical attitude is also less dependable. This has been a pleasure. Dr. Pooja is a fine and very competent professional and would not hesitate to recommend her for treatment. The clinic is spotlessly clean and very well kept - nothing I can suggest can add to it. I am quite sure I will be revisiting some time again. I went to see Dr. Adit Shah as my partner recommended them. I had some aligners for my teeth. My teeth were not very straight and don’t align very well so Dr. Adit advised that I can wear invisible braces. This will help me reduce the risk of my teeth falling out in 20 years’ time. I highly recommend Dr Pooja Shah and her team. I was very nervous about attending the surgery for my dental appointment, however, I was very impressed with the way they looked after me and how well the room was equipped with state of the art equipment. The actual procedure was painless and aftercare was excellent with correct medication prescribed. "I had lost my lower teeth and had problems while having food since last two years,I decide to go for implants, I have got 6 implants done by Dr.Pooja Shah. Dr.Pooja explained about the whole treatment and what options I had." "Hi, I am Christine, from France.I am very pleased about the work that Mrs I had a caries,quickly sorted out, then a crown, which is perfectly fitted, i choose a white zirconium one"
"I just got my lingual braces done by Dr.Adit, I was told about all types of braces and I selected lingual as it is invisible. Dr. Adit explained the entire process, duration and dos and don'ts of lingual braces beforehand." 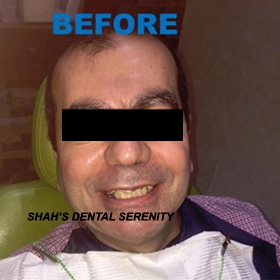 After scouring the internet and finding several detail practises, Dental Serenity attracted me the most due to the brilliant patient reviews that where posted online, furthermore, what gave me even more confidence with Dental serenity was the conversation I had with them detailing how they would go about dealing with the work that needed to be done. Not only this but instead of getting just my damaged teeth removed and replaced with implants I got my entire set of teeth replaced at a fraction of the cost that was quoted to me by my dental surgeon. Granted the surgery was highly demanding on both party's, however, after 3 trips to India and is very well looked after by the staff at Dental Serenity the process was a success and my new teeth have settled in well. A big thank you to the team at Dental Serenity and I would gladly recommend them to anyone in the future. Make sure to check the references and past work carried out by the dental care team aligned to you. Assess what costs would be borne as a part of the package and what costs you would need to bear from your pocket. This will let you arrange for the appropriate funds and avoid unpleasant surprises later on. Worried about a badly decayed teeth? Want to ensure total functionality of a proper tooth? Then it makes sense to opt for root canal treatment. A good dental care facility will make sure to clean the infected area without the danger of it spreading to adjacent teeth. Subperiosteal implants – Here, the metal frame is attached just below the gum tissue. With time, the gums form a tight bond around the frame and help it stay fixed in place. Endosteal implants – the frame is engrained into the jawbone beneath the gum tissue. With time, the frame is covered with the gum tissue. A second surgery is needed to attach a post to which the artificial tooth will be attached. Visit the dentist regularly for checkups. Don’t gulp solid foods, chop it up into smaller pieces. Avoid chewing on ice cubes. At our clinic the level of care given by experienced dental experts remains unmatched. ISO 9001: 2008 certification by USAC (United States Accreditation Centre) quality management system supports our commitment to providing a hygienic and state of the art dental care center for complete oral care. What treatments are offered at the clinic? We offer highly specialized services for Dental Implants, root canal treatment, wisdom tooth extraction, braces , cosmetic veneers, dentures, teeth whitening, natural looking fillings, crowns, child dentistry. We also provide dental care and specialist treatments when you come down to India for dental tourism. 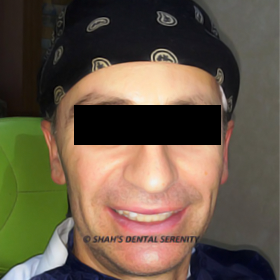 What aftercare regime to follow after root canal? The site of root canal , takes time to heal. 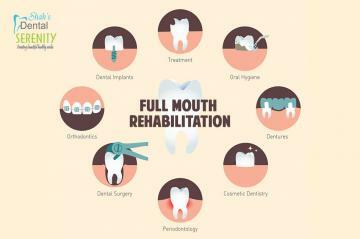 The artificial tooth inserted needs to be taken care of for better effectiveness. Avoid chewing from the side of the mouth where root canal is done. Be gentle when brushing or flossing in the treated area. There will be more than one visit needed to complete the treatment. Make sure to keep up with all the appointments so that the entire treatment goes well. How to take care of oral hygiene? Brush twice a day with a soft toothbrush (using small circular motions and gentle back and forth movement). Floss daily to take care of the area around the tooth . Brush your tongue to ensure overall oral hygiene. How to avoid tooth cavity from growing further ? These small steps can let you avoid cavities- related tooth decay. The daily dental hygiene routines of brush, floss, and rinse are your first line of defense. Make it a habit to sugar-free chewing gum.